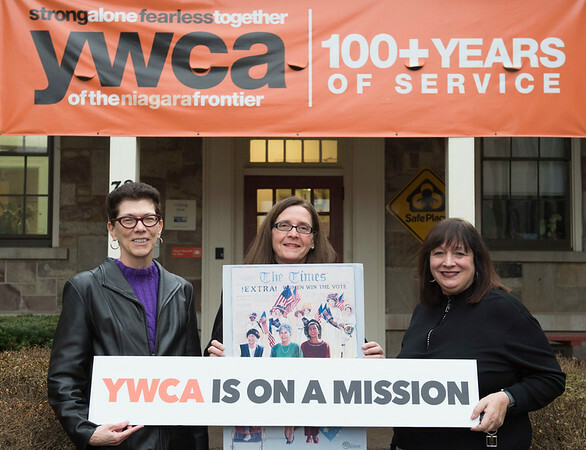 Joed Viera/Staff Photographer-Lockport ,NY-Jane Armbruster, Mary Brennan-Taylor and Kathleen Granchelli, stand in front of the YWCA Wednesday afternoon. The three woman will be participating in the Woman's March on Washington. Taylor and Granchelli will be representing the YWCA and Armbruster will be attending the march with a group from the Elmwood Unitarian Church located in Buffalo.